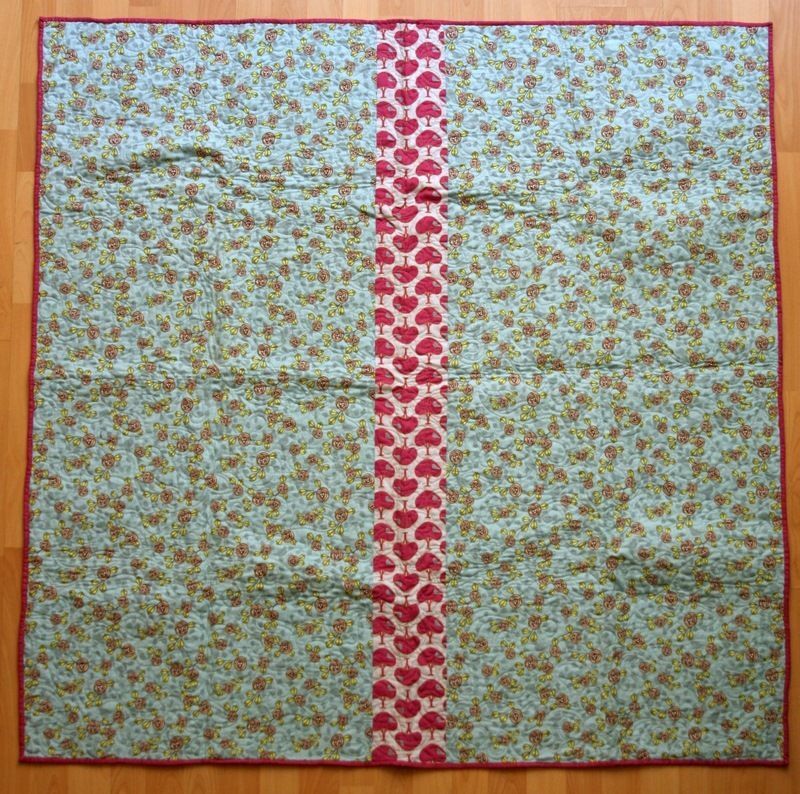 It's a panel. 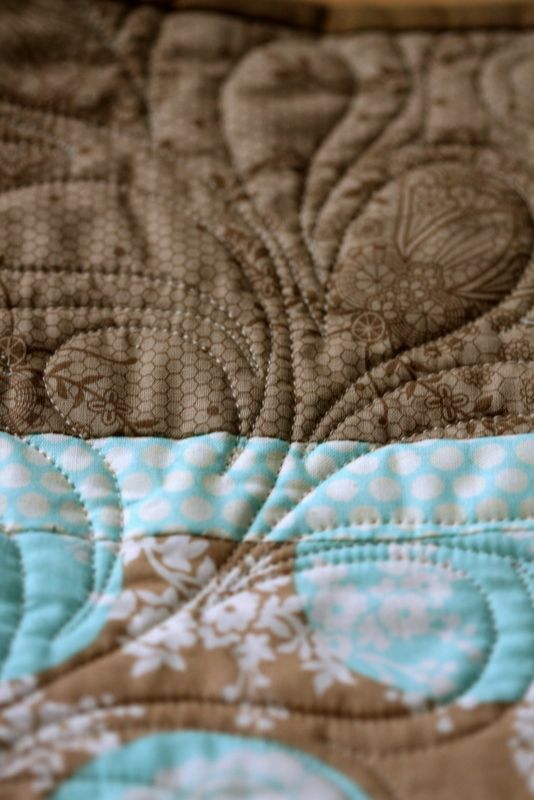 I added the border and the ruffle binding is my fav part. 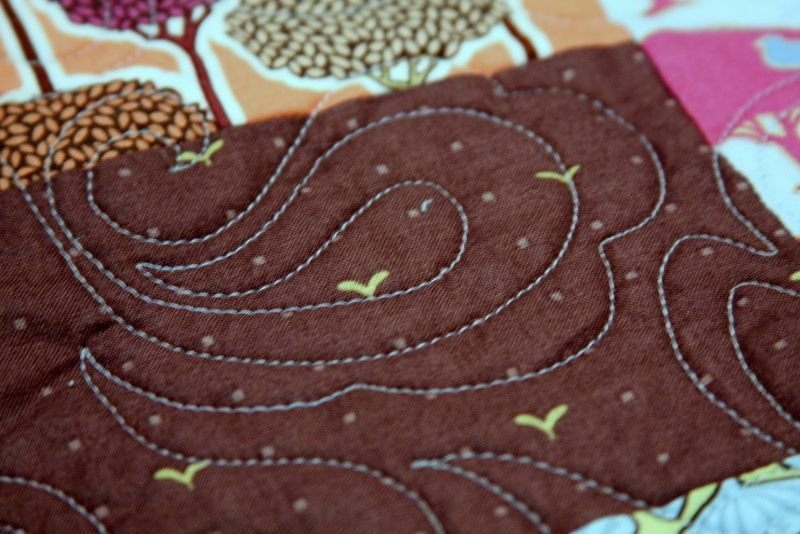 Or maybe the swirly minky on the back is my fav. 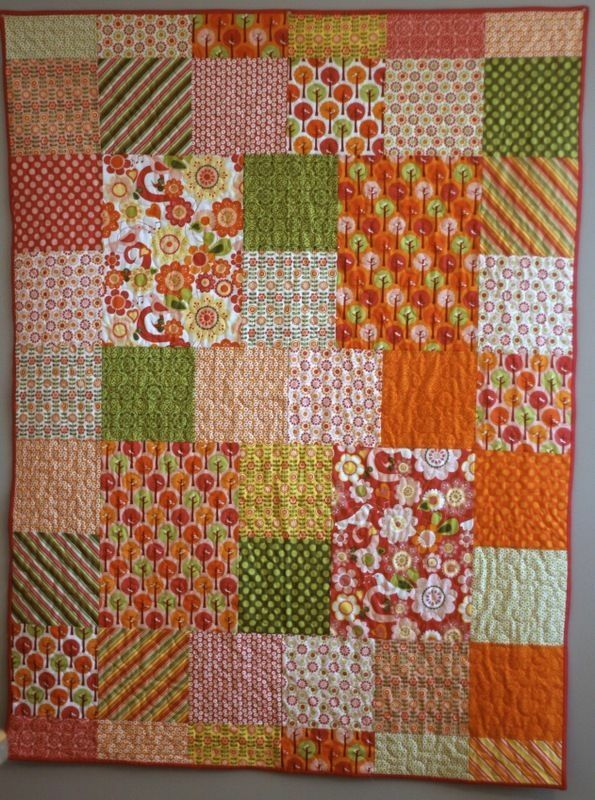 This one is all mine- I usually have it on my lap while doing most anything that involves sitting. 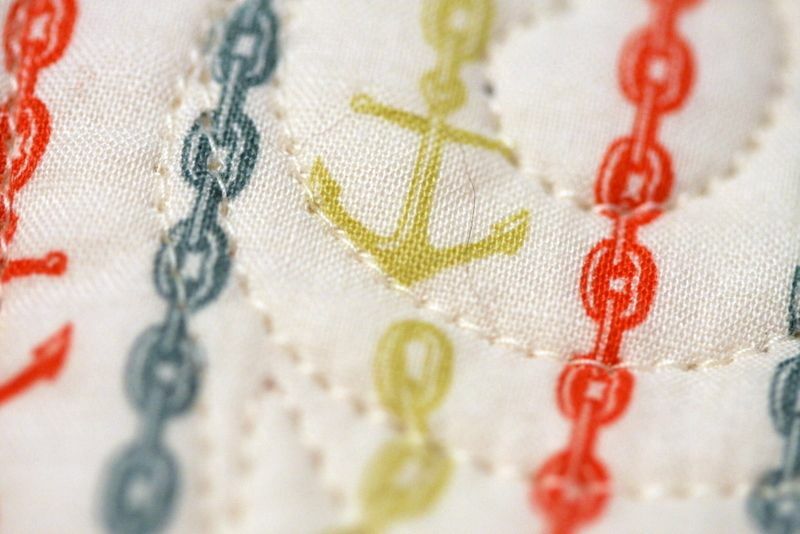 I just "tied" this one. 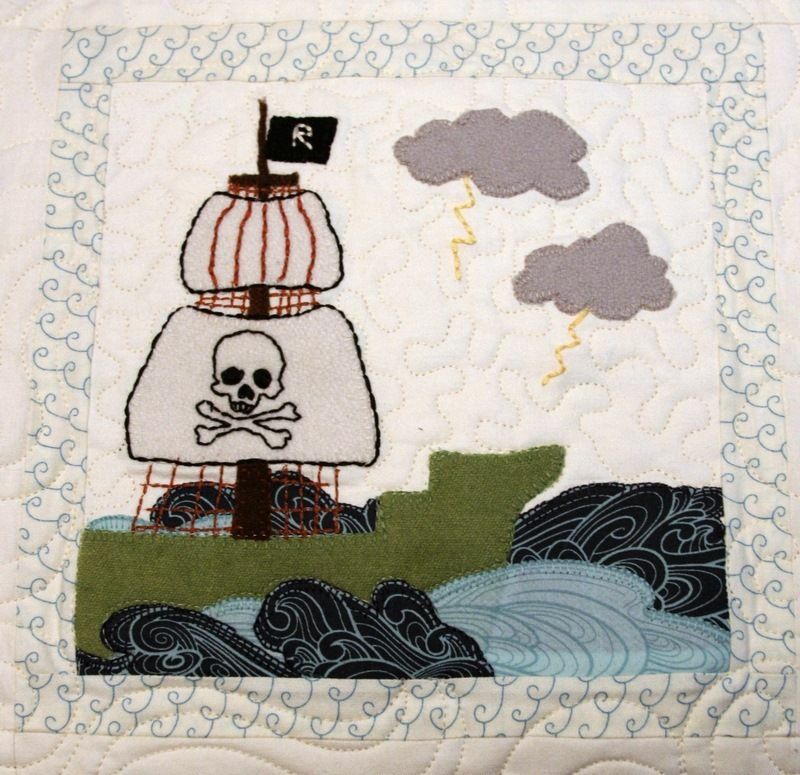 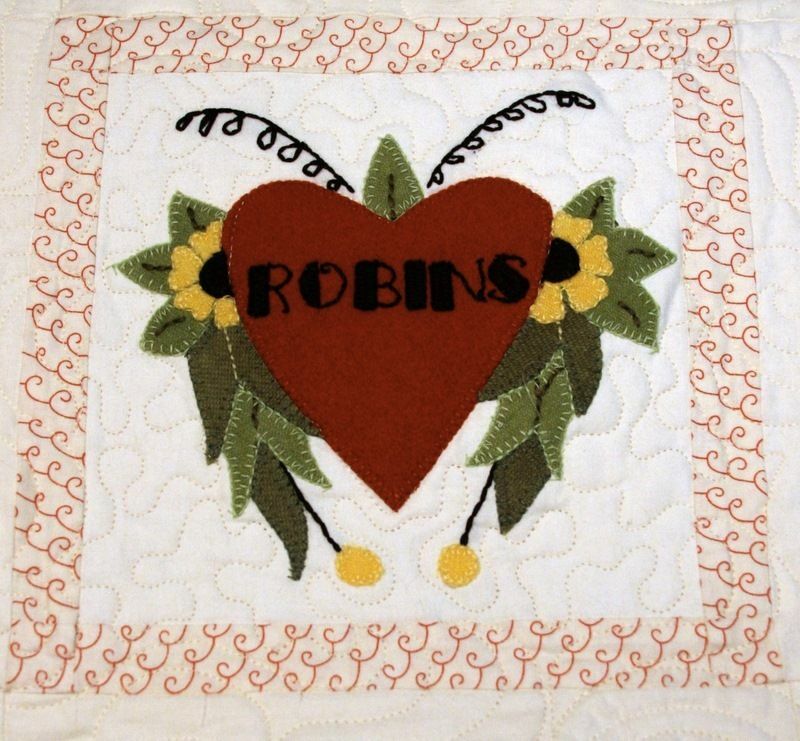 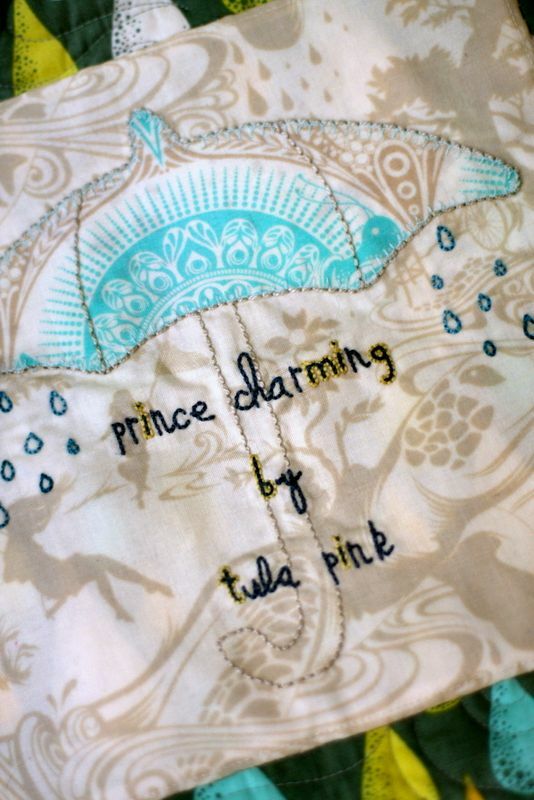 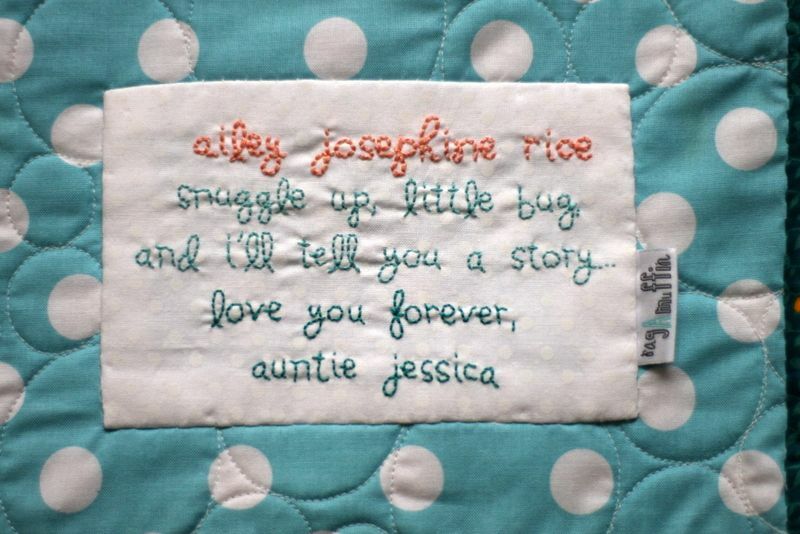 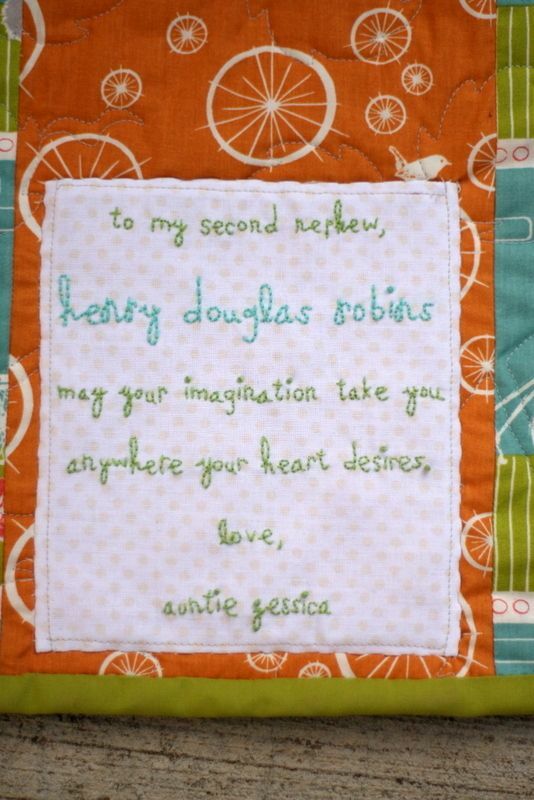 This quilt is for my future children. 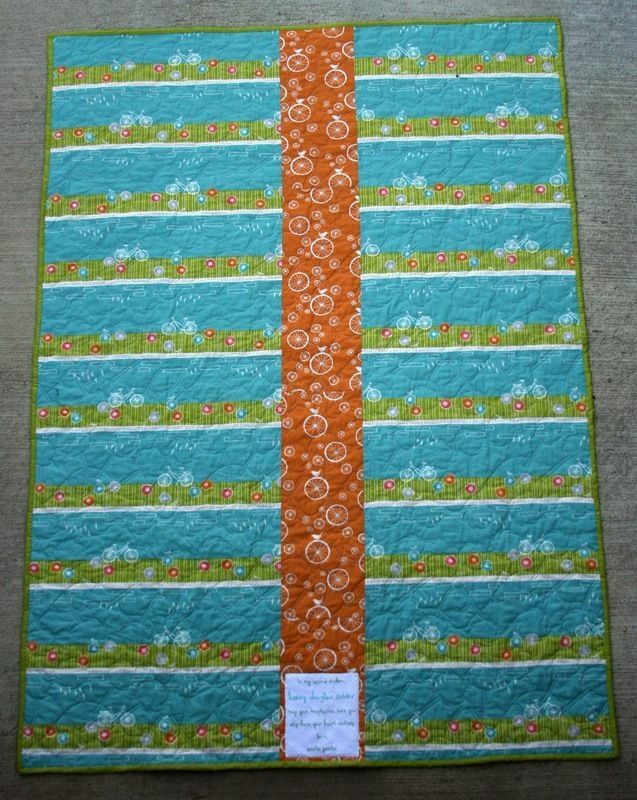 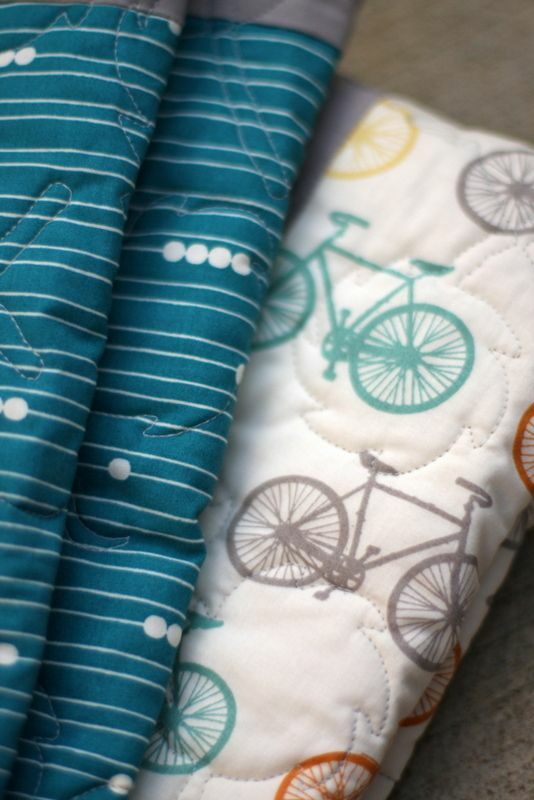 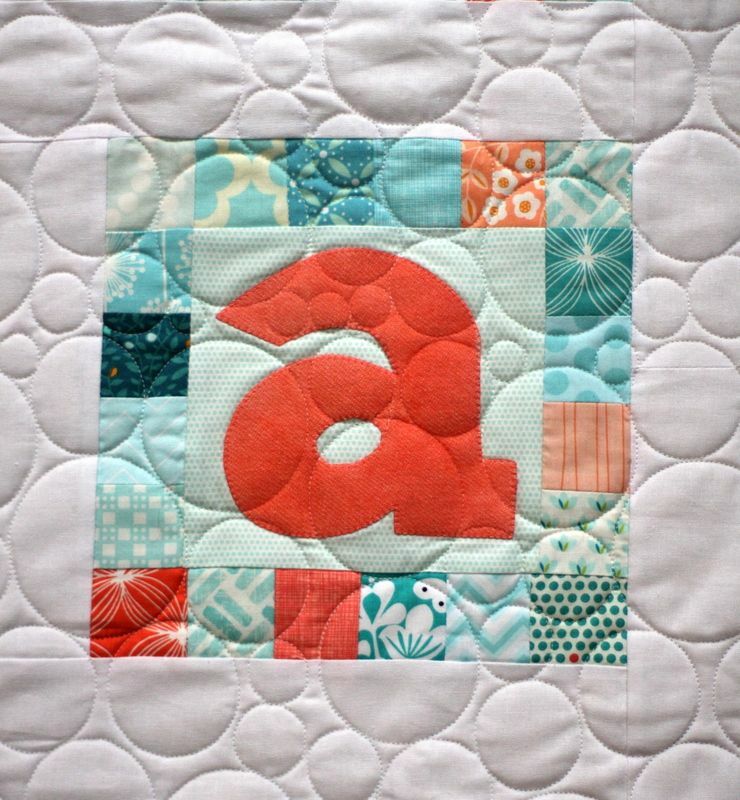 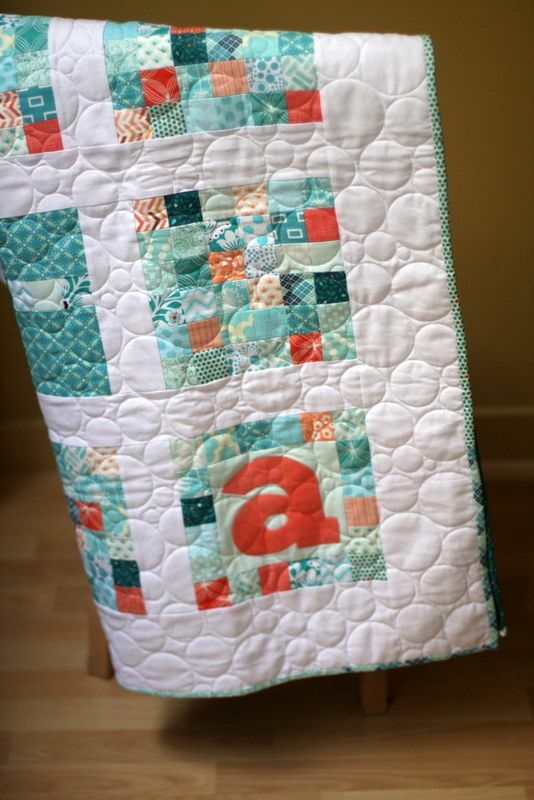 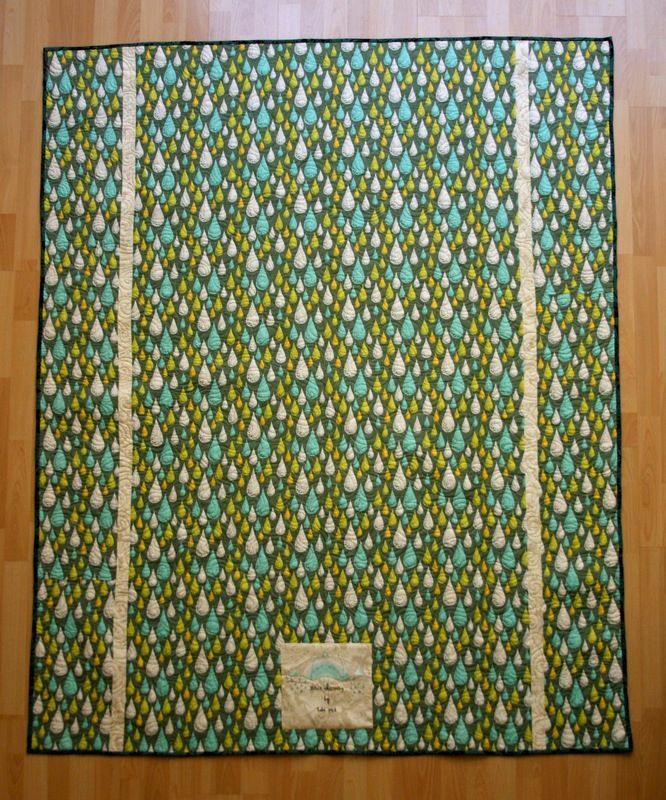 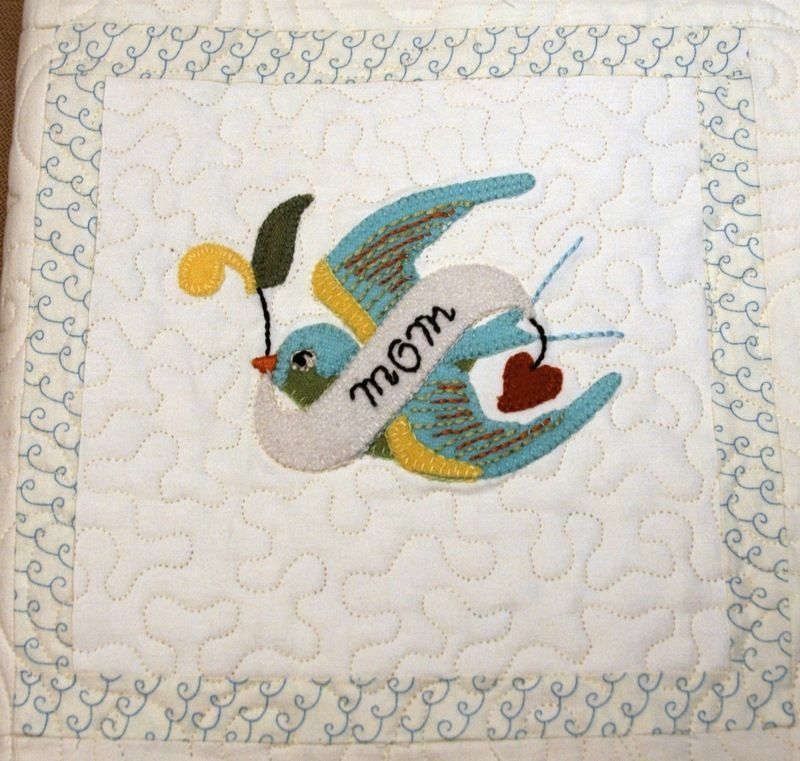 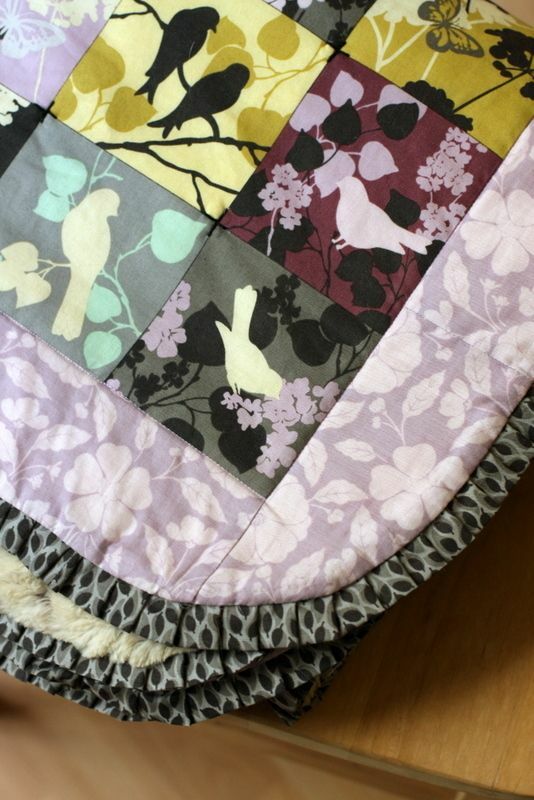 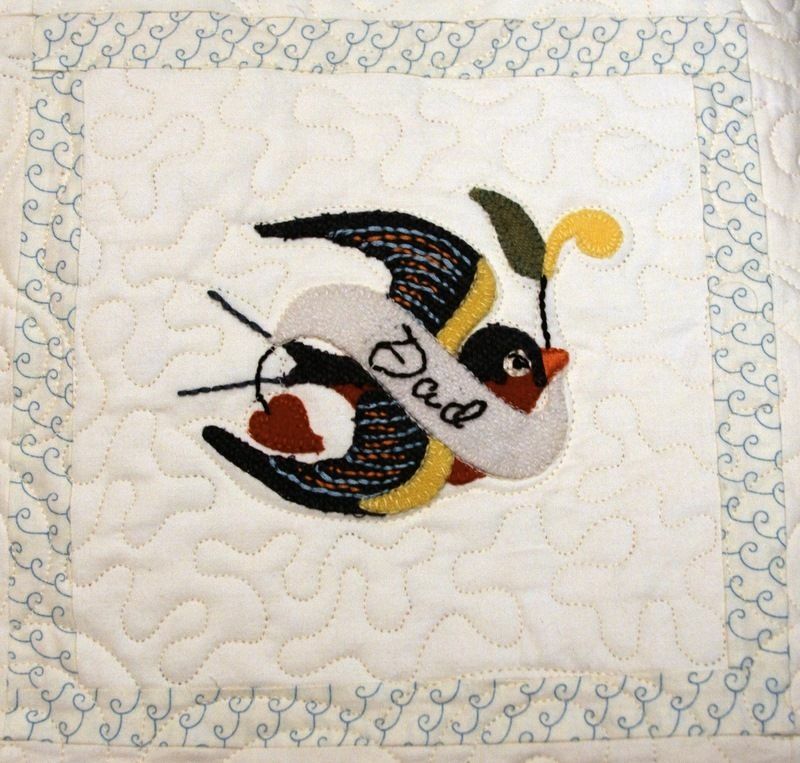 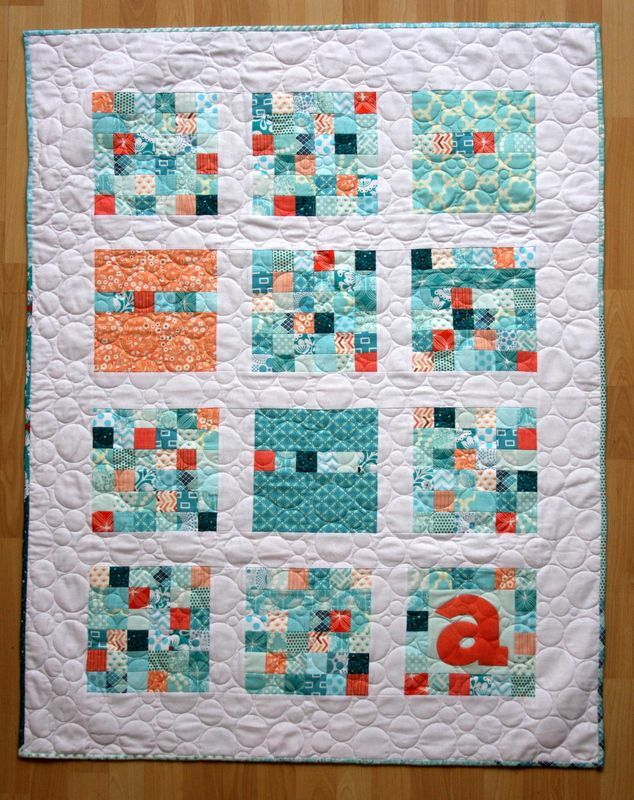 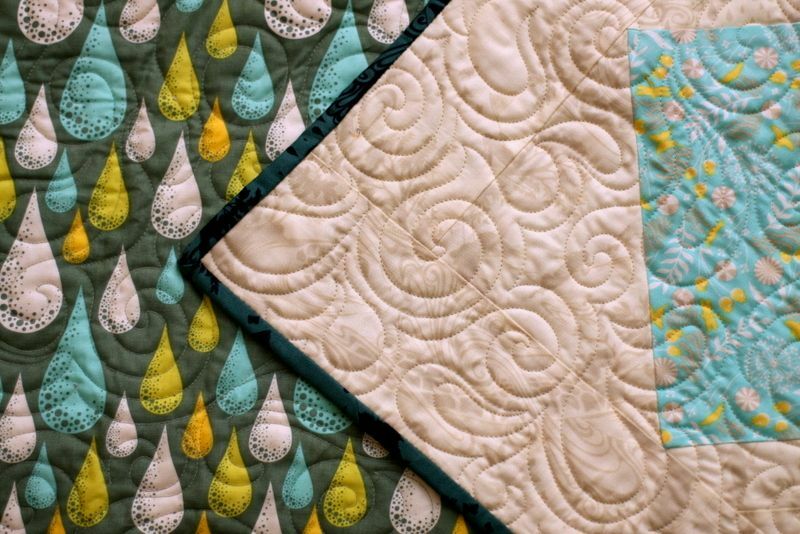 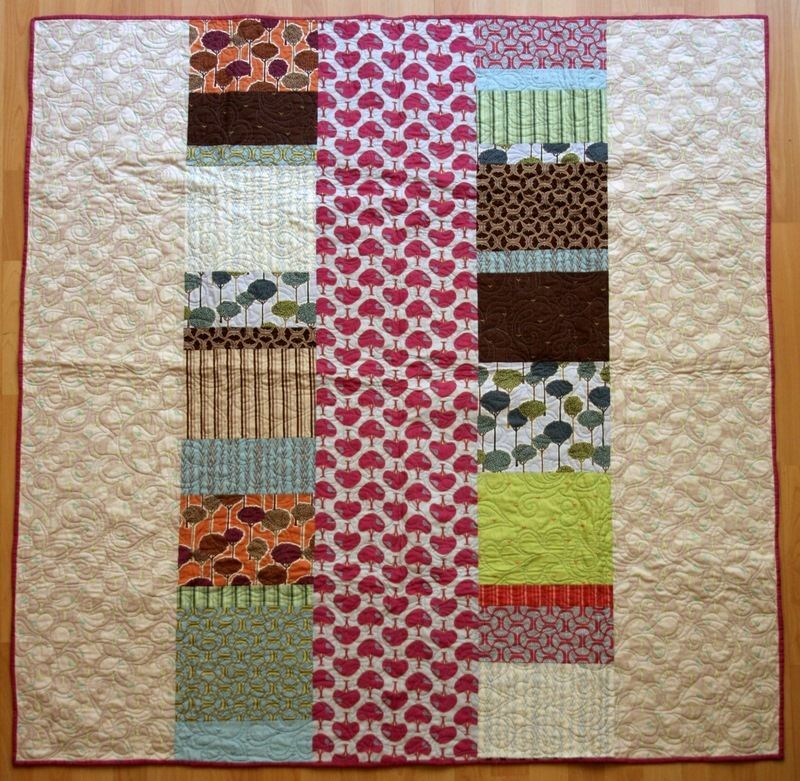 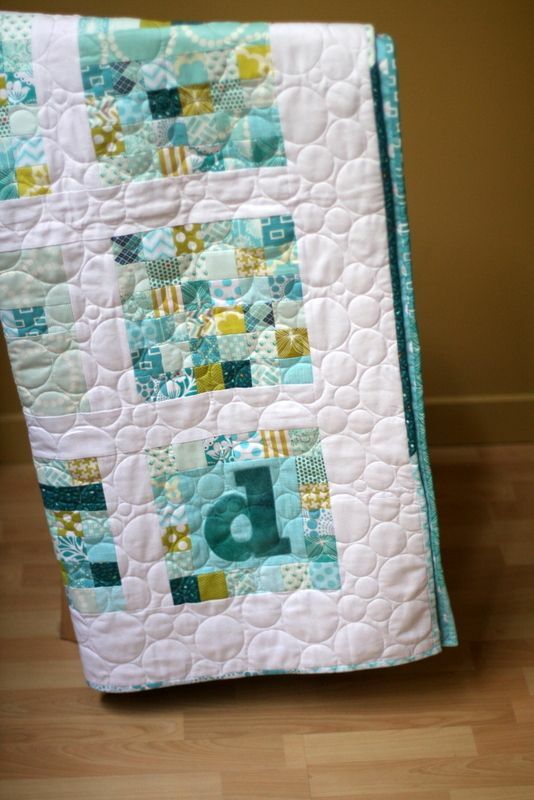 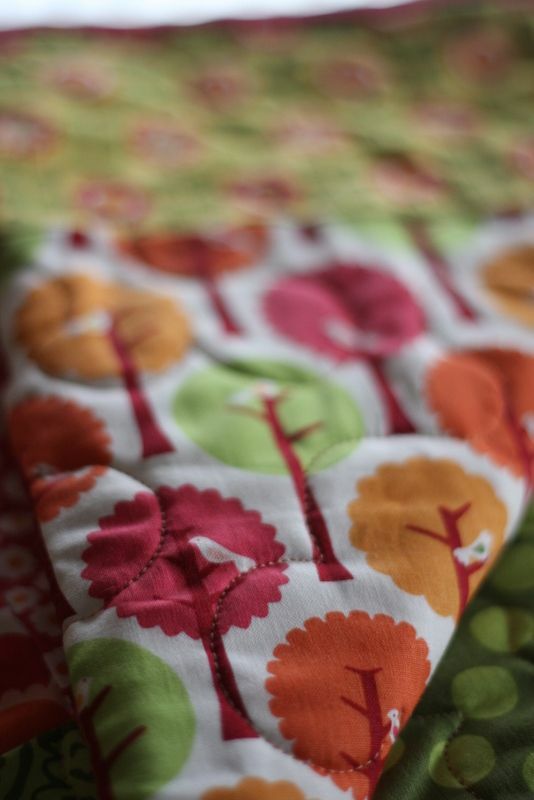 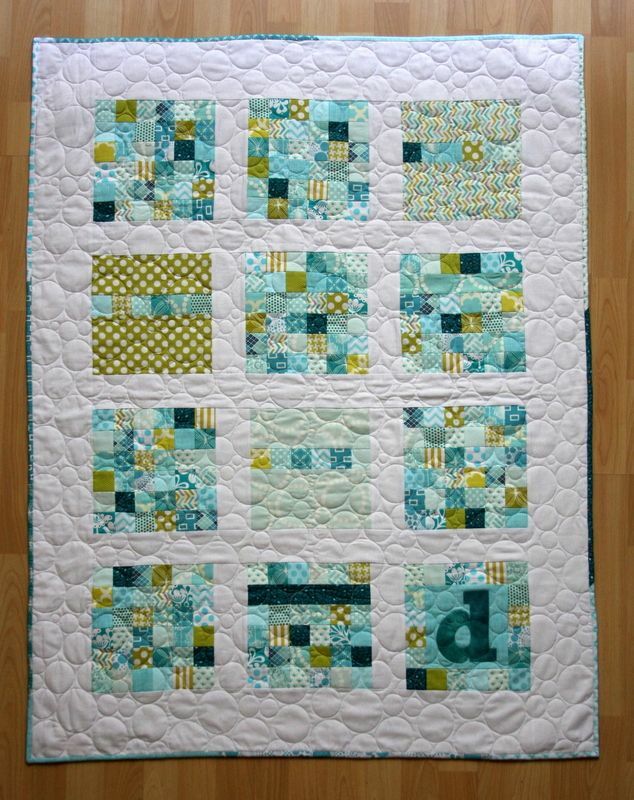 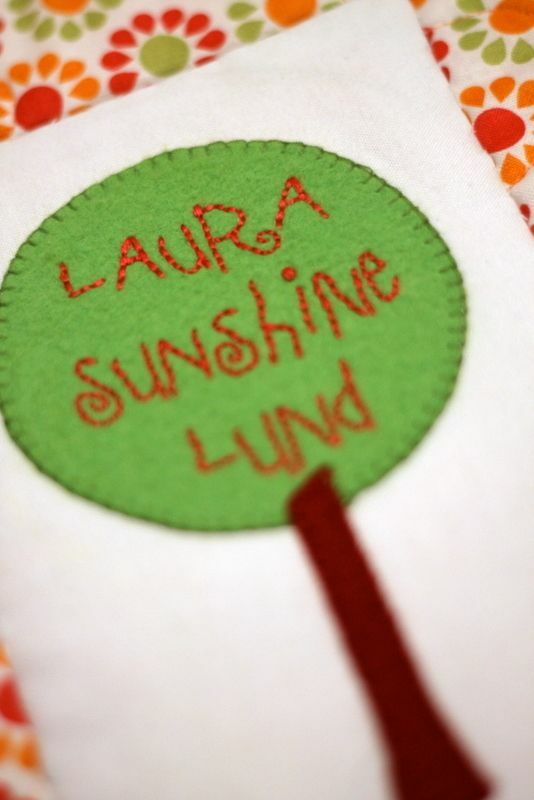 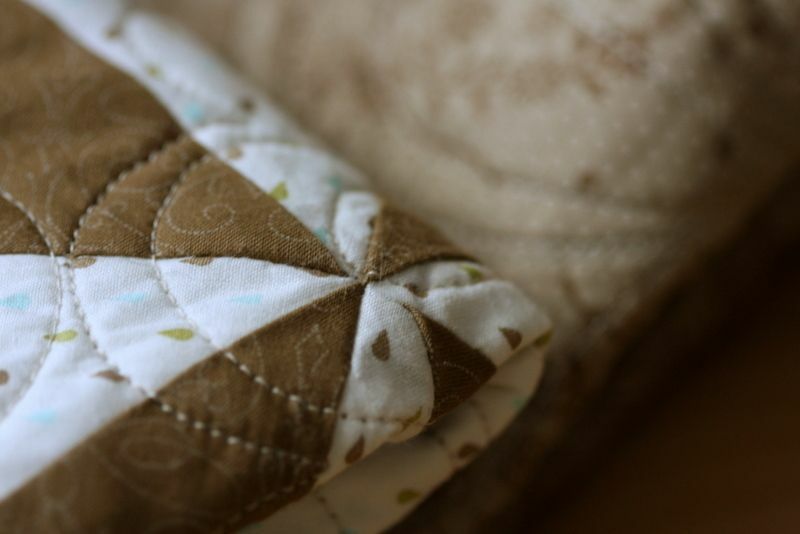 Custom baby quilt for Laura. 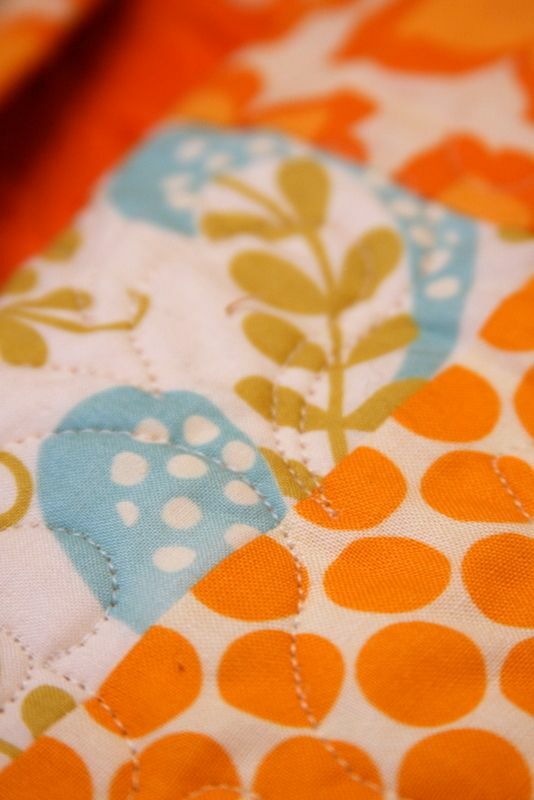 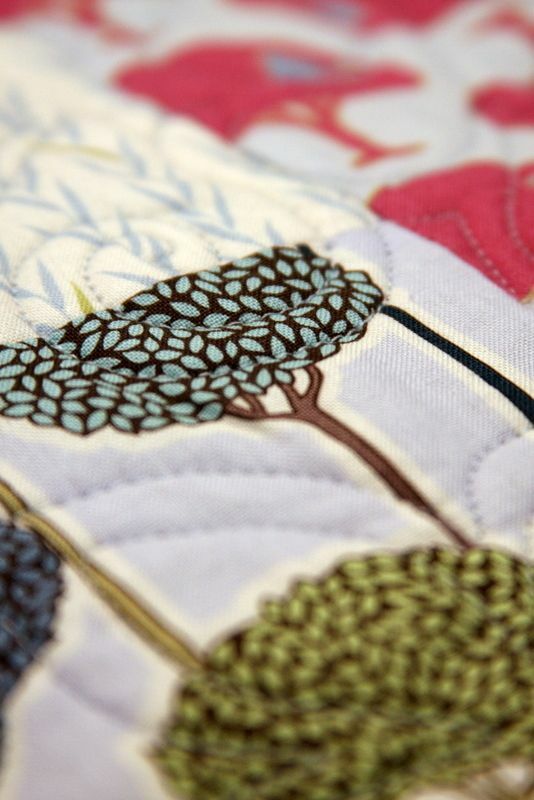 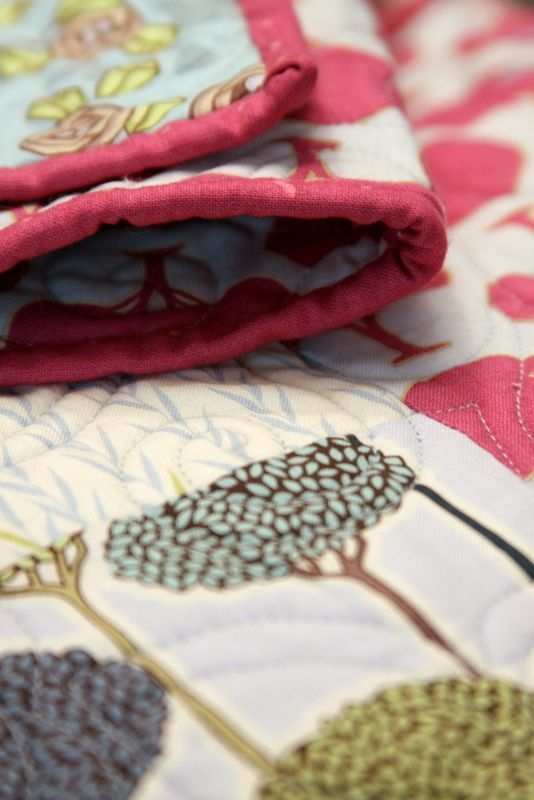 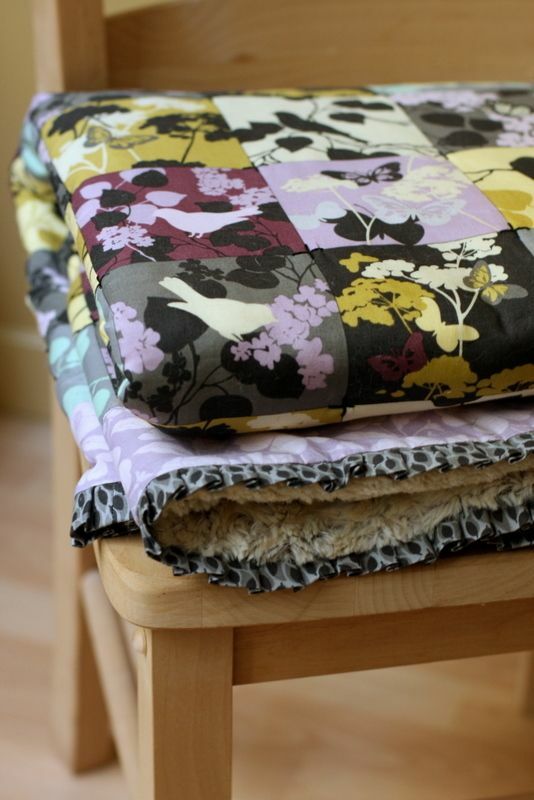 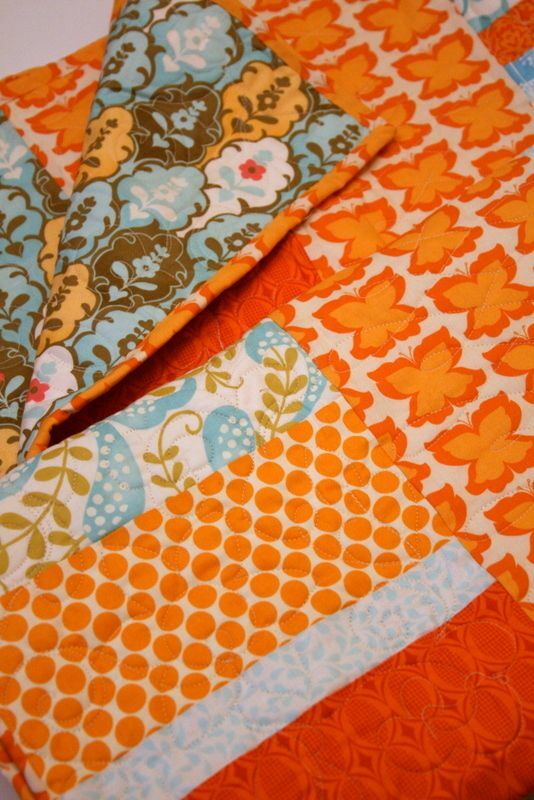 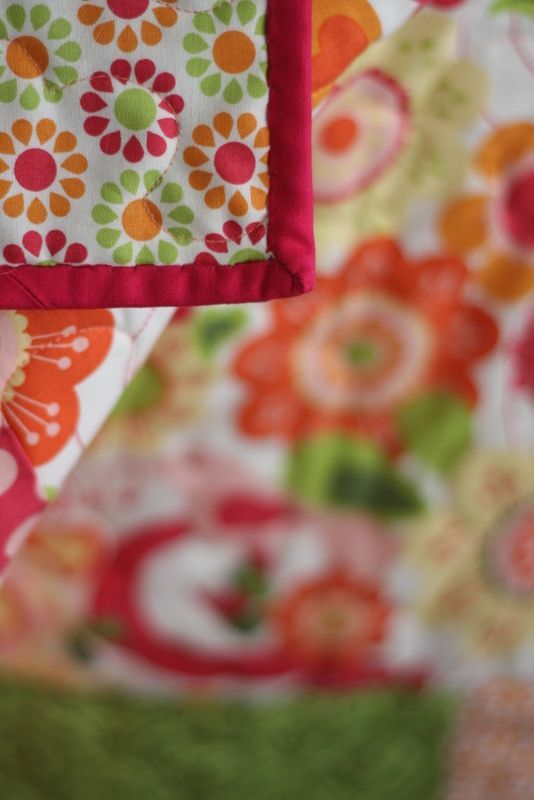 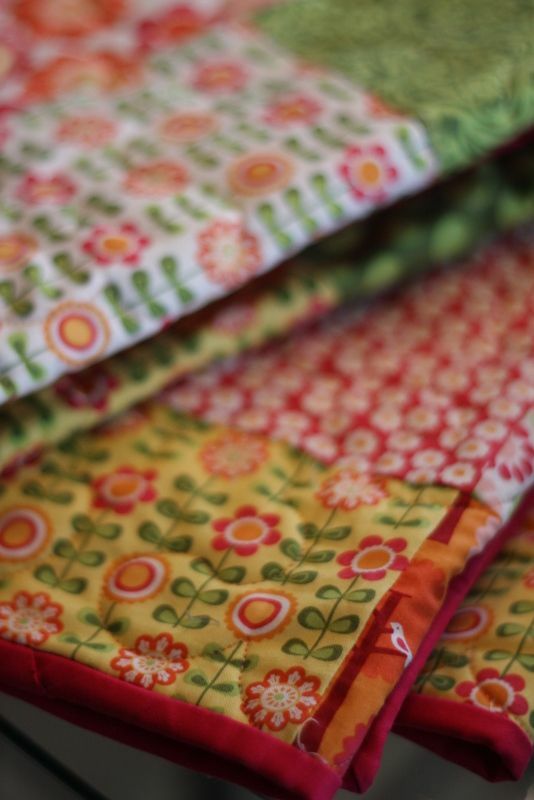 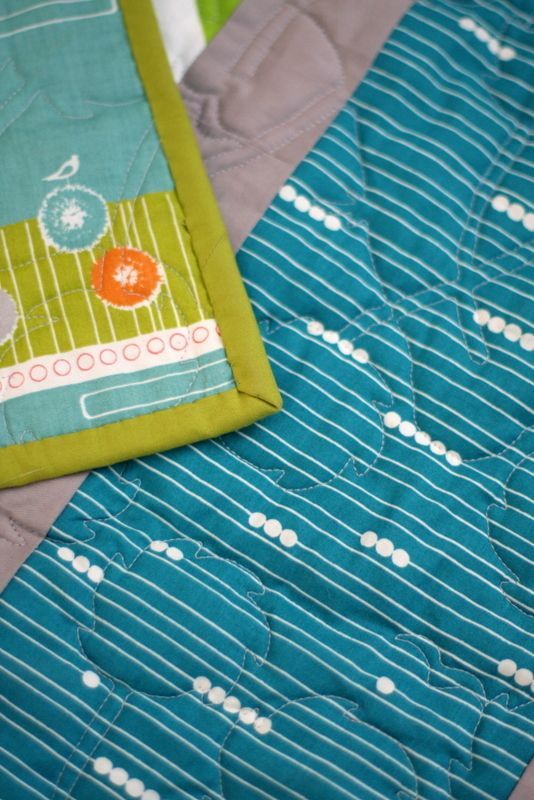 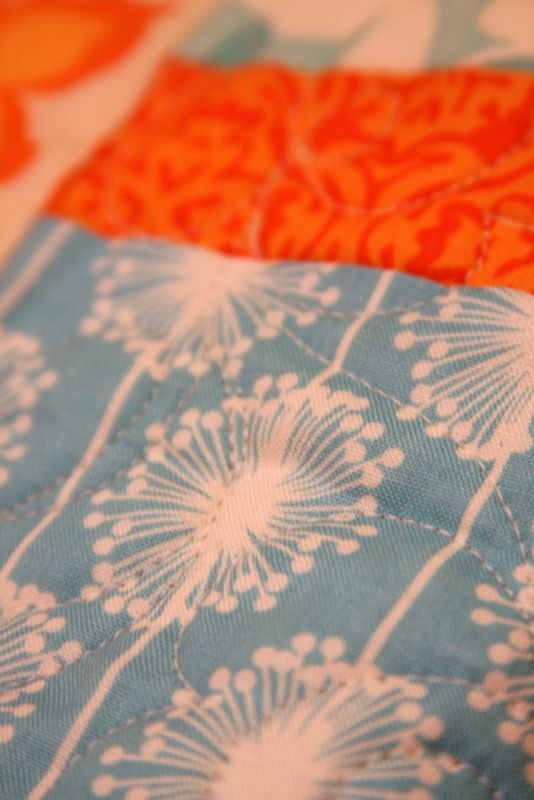 I LOVE this fabric line- it's called Summer Song. 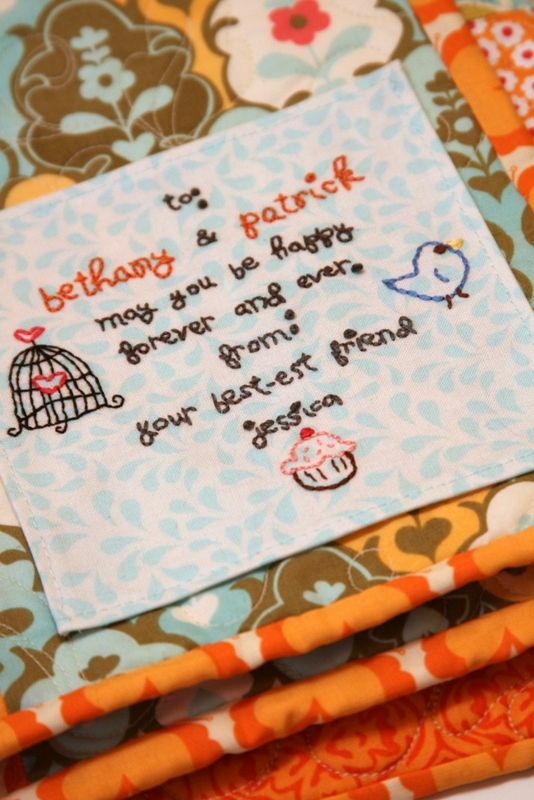 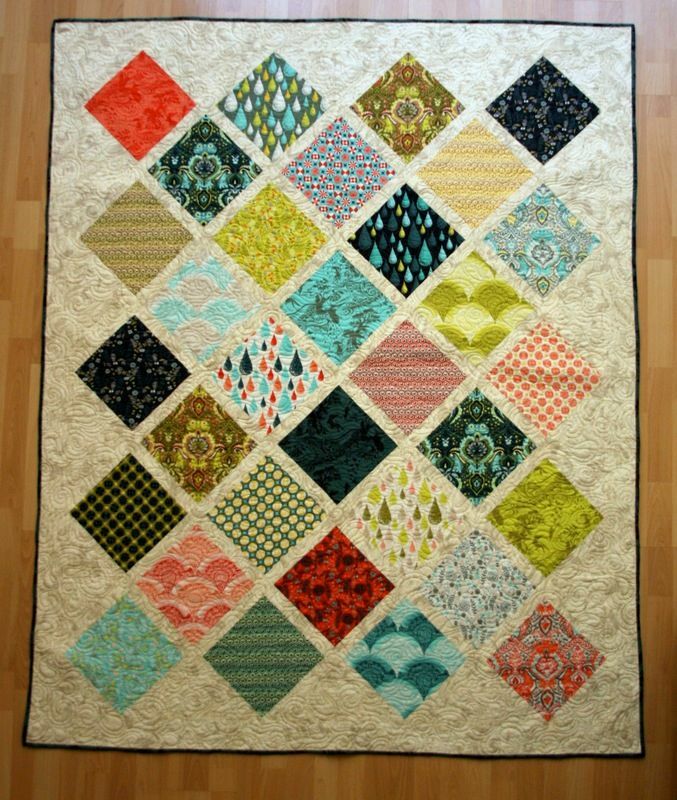 Wedding colors quilt for my BFF Beth. 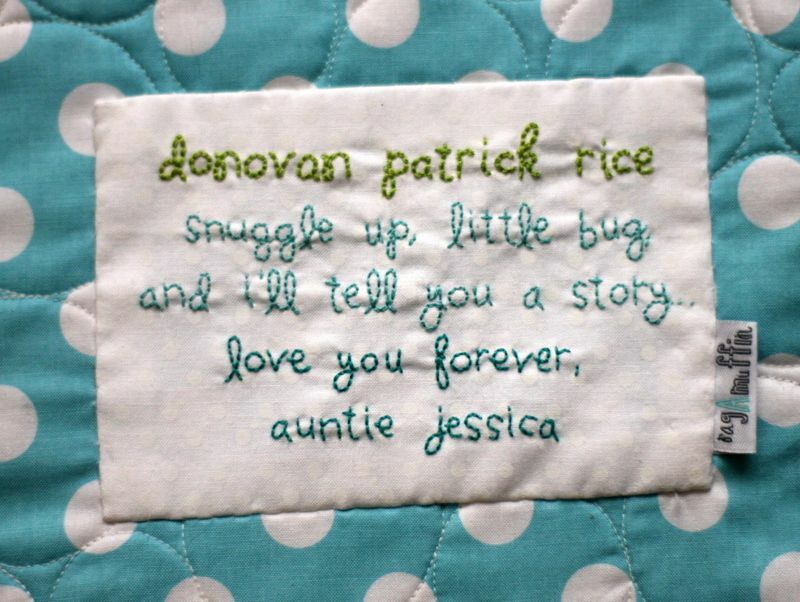 This one I made for my nephew, Van. 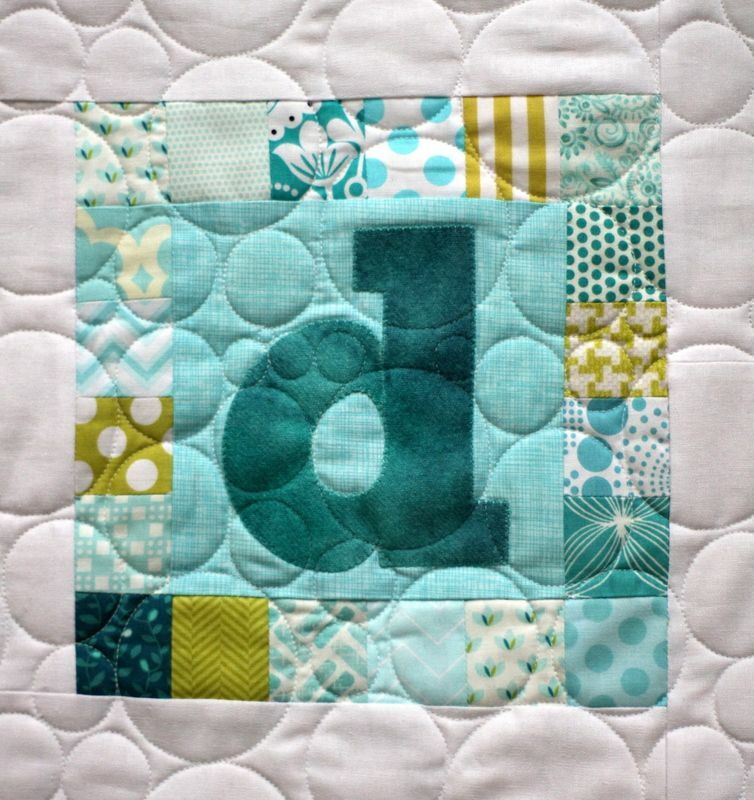 I'll show you the individual block first. 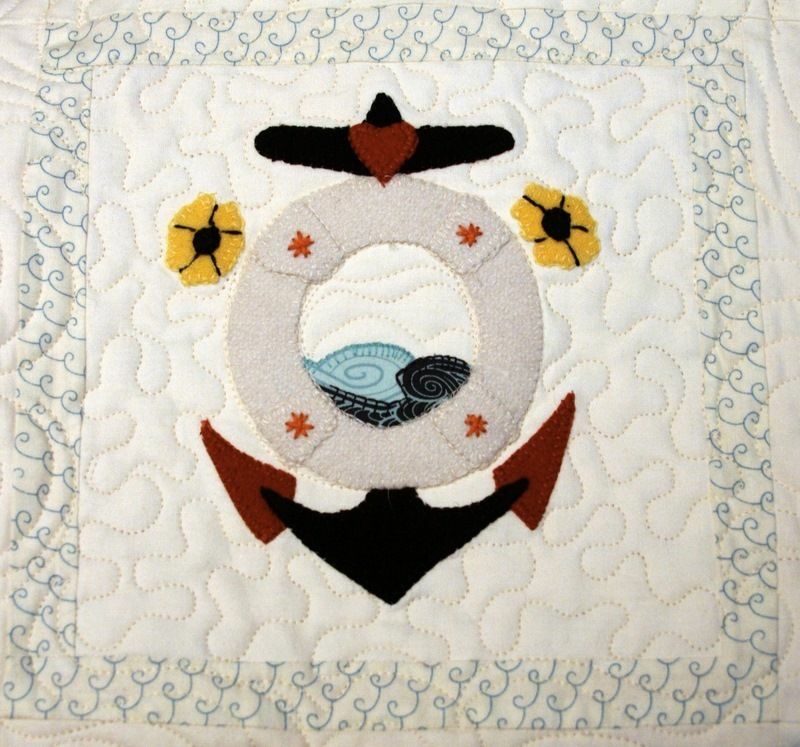 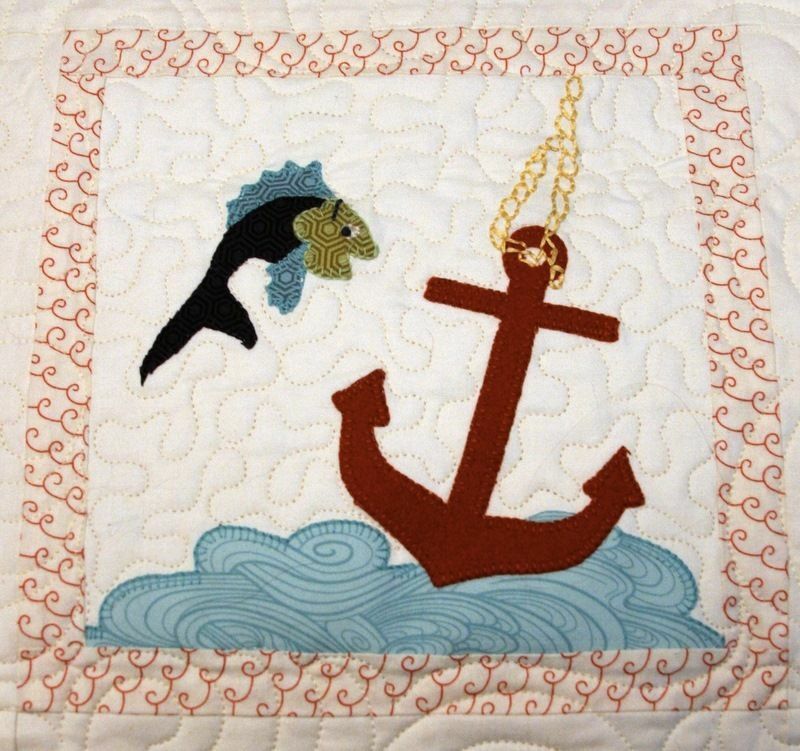 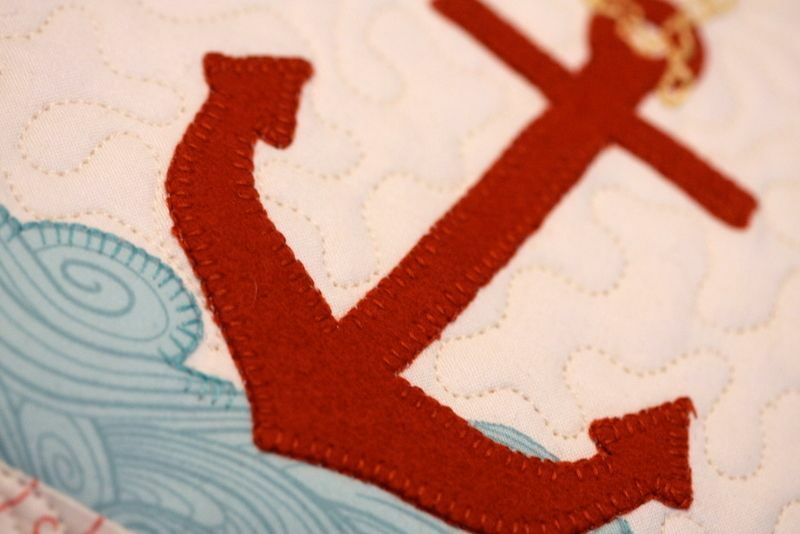 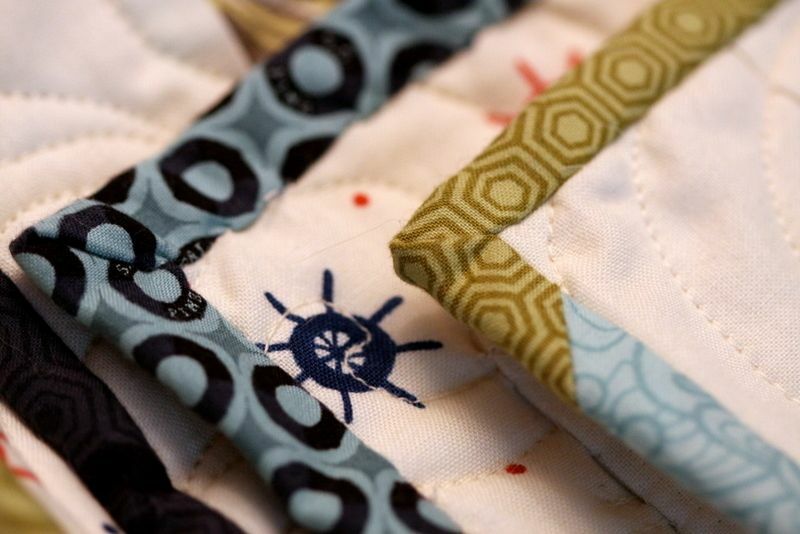 It all started with this anchor fabric. 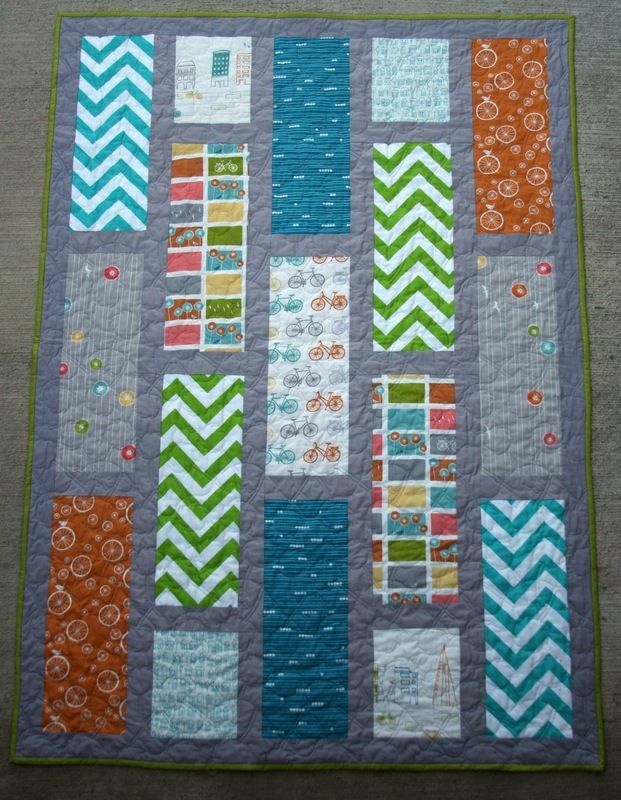 This one is mine as well. 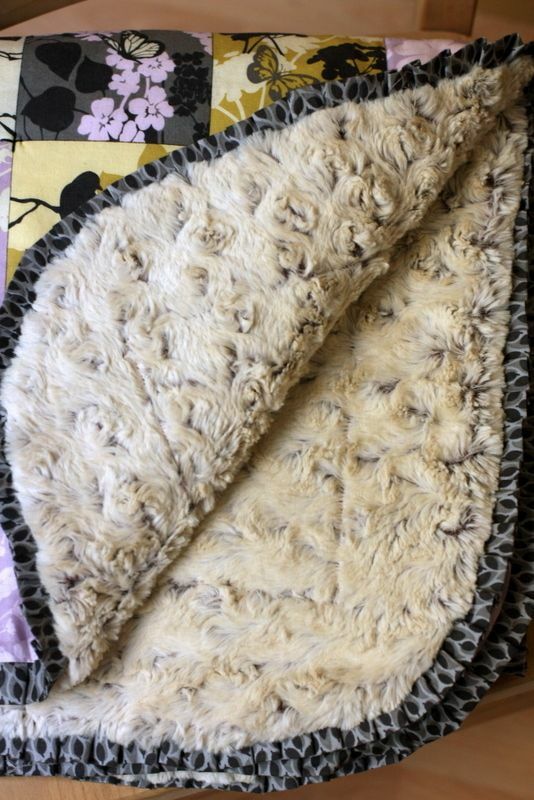 It's the Timber throw. 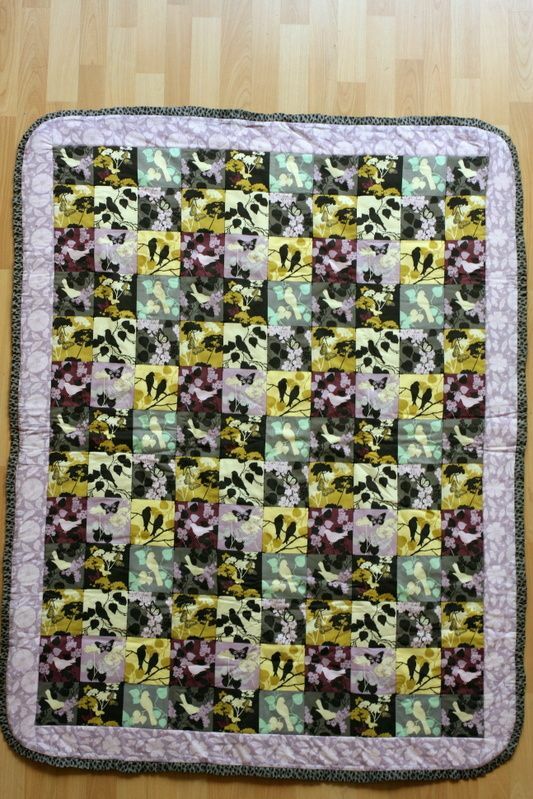 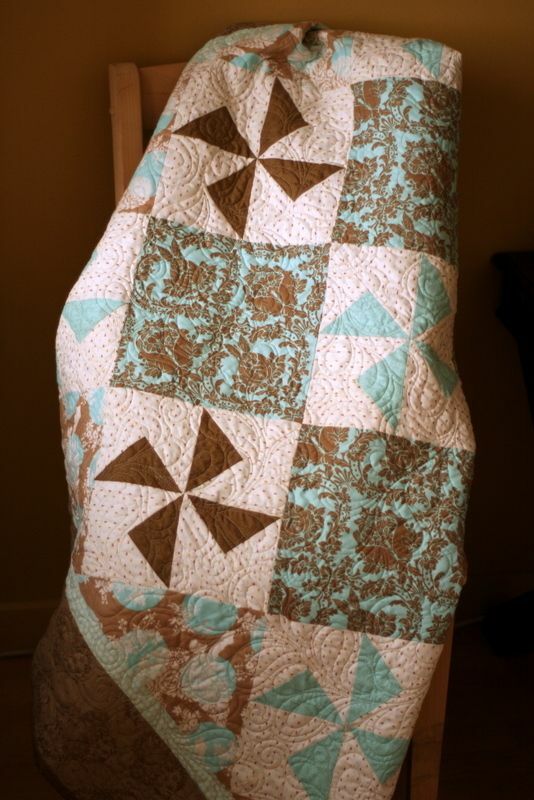 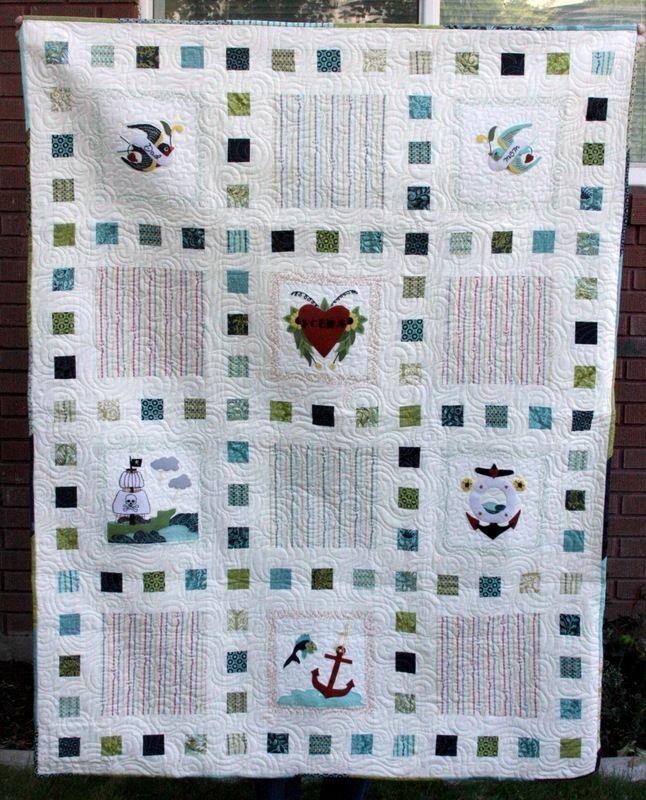 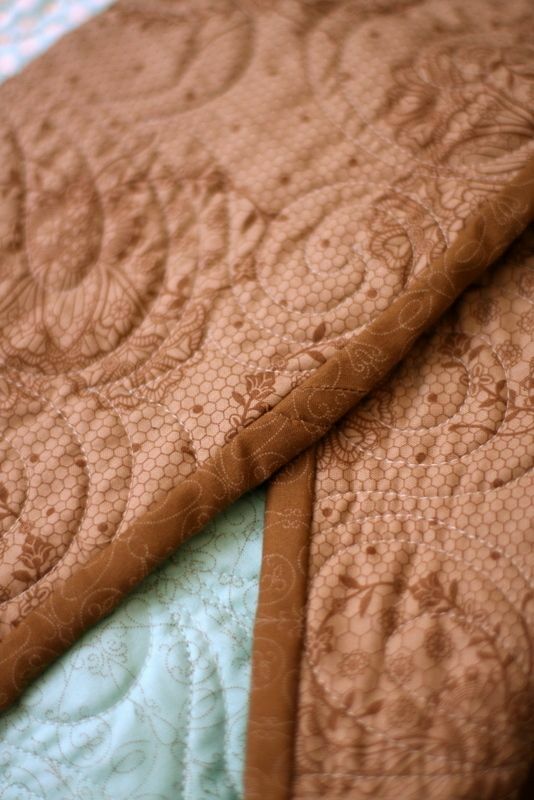 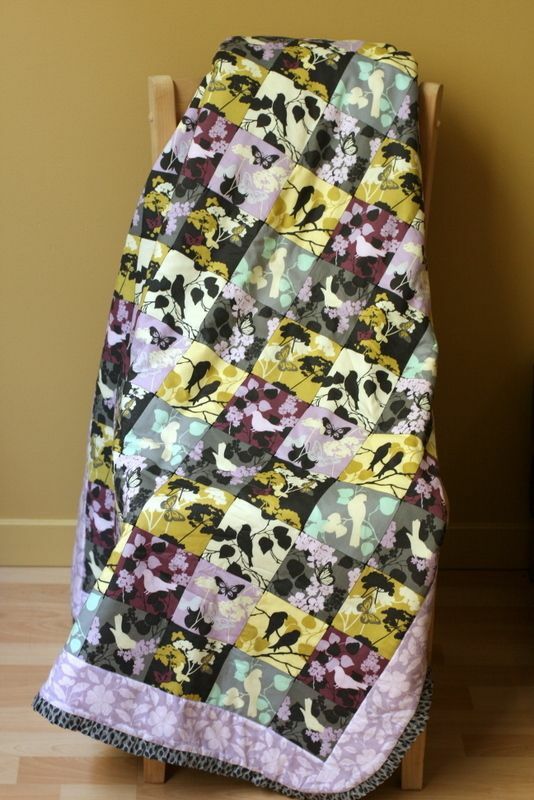 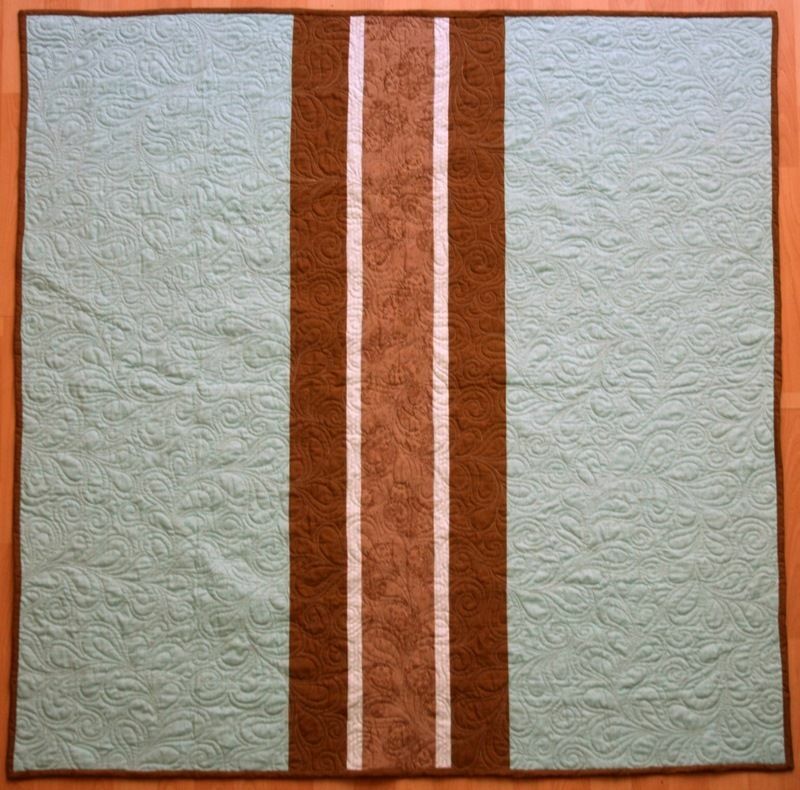 This is first quilt I made entirely by myself. 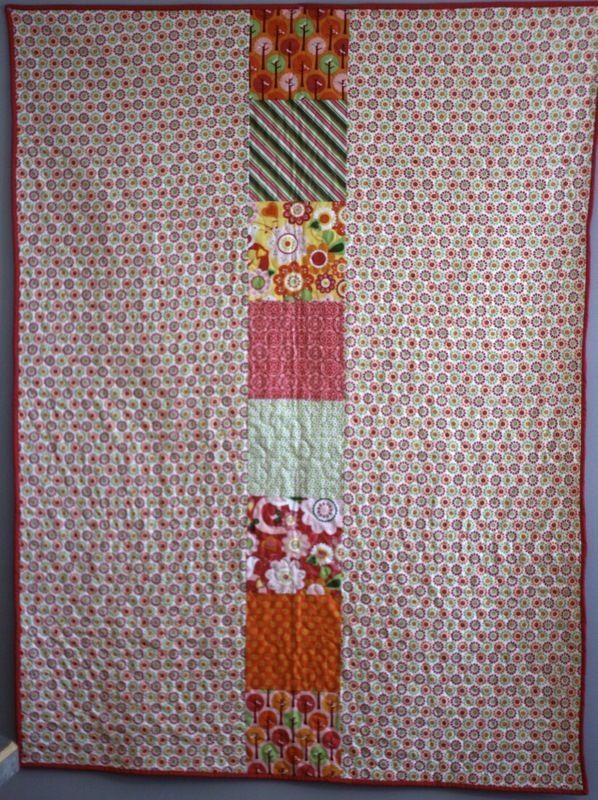 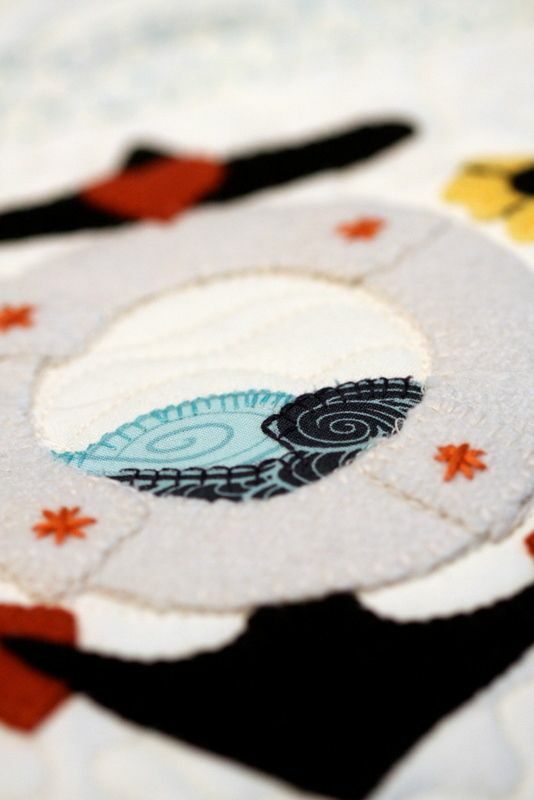 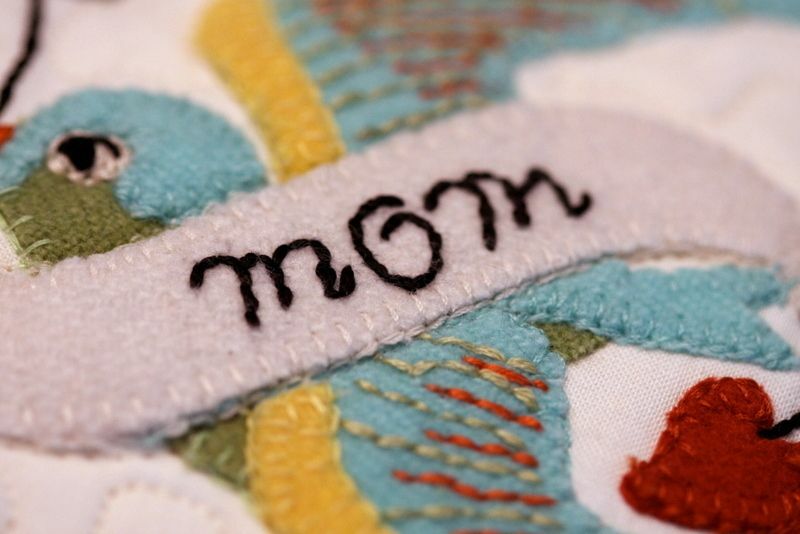 In the past, I would cut, my mom would sew and quilt. 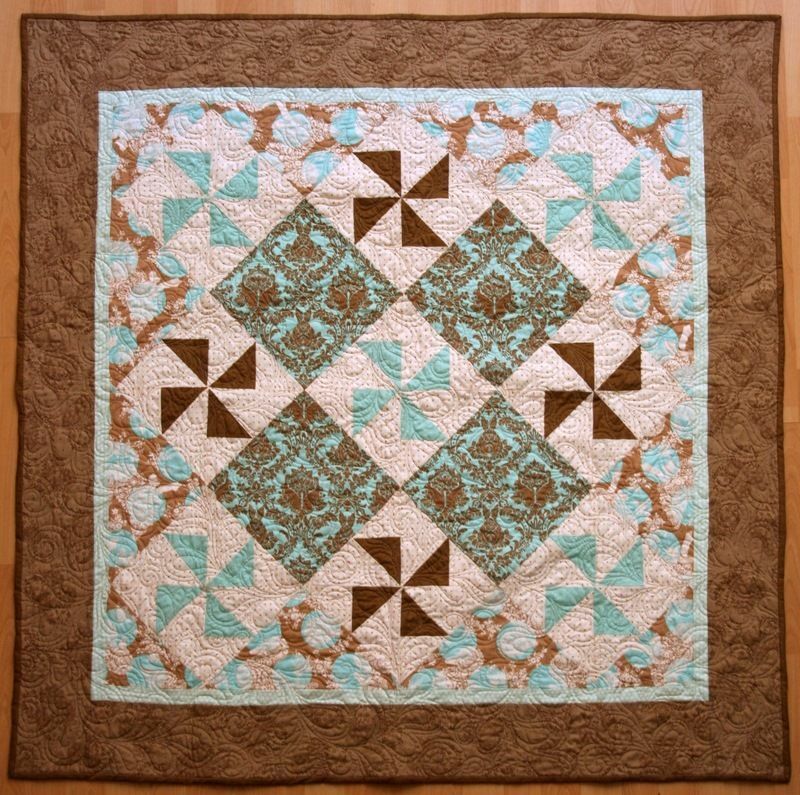 It's been machine quilted, of course.